Whether it is designing a complete HVAC system, manufacturing pre-insulated ducting, supplying, or installing, REL can offer a full range of services. Out projects include work for Government bodies, local authorities, hotel groups, shopping complexes, and leisure & fitness centers. VRF Air Conditioning Systems are available in capacities from 8kw to 165kw. They provide the ideal solution for Large Commercial & Industrial premises including hospitals, hotels, leisure centres and shopping centres. VRF systems offer high levels of efficiency with the use of dual inverter compressor with precision compressor control. Our Range of 2/3 pipe VRF systems can be installed with the full range of indoor units. 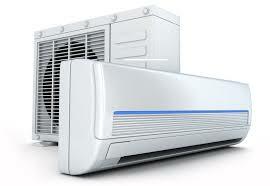 Split Air Conditioner and Heat Pump products offer a wide range of versatile solutions for cooling and heating requirements for single or multiple rooms. Split Systems are stylish and offer whisper-quiet operations, quality and reliability you can count on. Split systems are available in capacities from 5.0KW to 33KW.